We begin with a full skin analysis and customize the facial to your skins individual needs. 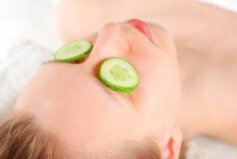 Hydrating, Anti-aging and detoxifying are just some of the specific areas this facial can target. 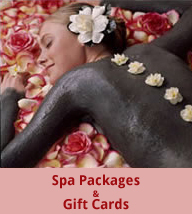 This Spa Treatment is also suitable for sensitive skin conditions such as Rosacea and Couperose. Our Acne Facial is the ideal treatment to help you on the road to clear, smooth glowing skin. This facial includes a deep cleansing of your pores, enzyme exfoliation,extractions of blackheads and whiteheads, and a hydrating mask to replenish skin. Facial Massage always included! Swedish Massage is the most common type of Massage, if it's your first time or you do not get massage very often, this is the perfect option for you! Extremely relaxing and rejuvenating. Aromatherapy Massage uses a combination of traditional massage oil with highly concentrated plant oils called essential oils. Each essential oil has different properties such as calming or energizing, and will be chosen according to your personal healing needs. Hot Stone Massage utilizes smooth, heated stones placed on key points on the body. When used during massage, the heat of the stones provides warmth and promotes relaxation of the muscles, improving circulation, and calming the nervous system.